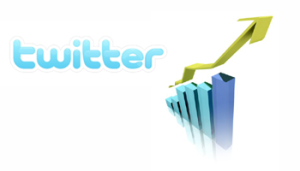 Make no mistake that Twitter continues to grow as a platform for online communication. Here are seven reasons why it’s so successful. Twitter can be scanned easily and quickly. No video and audio posting except through third party providers. Both video and audio require real time viewing and listening. Text can be decoded at the pace of the reader. There is something about knowing your twitter post can be viewed by anyone on the planet that encourages most folks to write differently. Twitter has really changed how we see and use our social graph. We are more at ease with complete strangers. I will friend anyone on Twitter that I think is interesting. However, I probably wouldn’t make that same person my Facebook friend. Twitter allows for informality. When you click update – your followers see your post immediately. Take away all the above and when it really comes down to it – Twitter has democratized fame. It could be argued that the history of the United States is the history of democratizing everything. We have democratized publishing (desktop computers & blogs). We have democratized wealth (home loans, E-Trade and house ownership). We have democratized education (online degrees). We have democratized transportation (the automobile & cheap jet travel). We have democratized lifestyle (just visit Ikea or glance around the supermarket in the produce aisle). And with Twitter we have democratized fame. Internet celebrity is now within everyone’s grasp. Agree? Why do you think Twitter is popular? And If you are new to Twitter, read some of our articles and resources to help you use the service.